Help Build Shelters in Nepal Before the Monsoon Comes! Let me begin by saying the BIGGEST THANKS to everyone who had read our stories, prayed for Nepal and has given so far! We are only able to move forward with YOU by our side! Our Nepali friends (the ones that we have been bragging about!) in Hetauda, Nepal are now mobilized to build metal or tin shelters. Imagine a big piece of sheet metal wrapping around a frame to protect families from the monsoon rains. I hope to have pics soon! 1 shelter can house up to 5 families. They ave a goal to build at least 60 shelters to house hundreds of people! Will you donate to shelter Nepali families? The Monsoon is coming quickly in Nepal–sheets of rain for hours every day, until Sept…the focused building area is the hardest hit villages near the original epi-center, Gorhka, Nepal. it is URGENT that shelters are built today! 100% of the donations will go to our Nepali friends who are organizing this project. They are all voluteers! I am also Giving $5 from every one of our paperback books sold through us or the Shades of Grace Art Studio to thei sheltering project in Nepal! We left Kathmandu approximately 2 weeks ago. Exhausted and emotionally drained already, we saw the tragic earthquake in Nepal while watching the evening news. I wasn’t shocked. This earthquake has been expected and warned. It was my biggest fear while living in Nepal for the past 5 years. We had been warned of an earthquake with 9 magnitude that would have flattened Nepal completely. We were told to make copies of our passports and leave them in 3 different locations, 2 outside of the house. Every room was supposed to have a metal bar to dig yourself out. Each home needed an earthquake detector. Every family living in fear. I was living in an ignored paranoia while in Nepal. We felt earthquakes often, especially while living in Pokhara. We would wonder, “Is this was the ‘Big One'”? But it never was and we went quietly about our day. 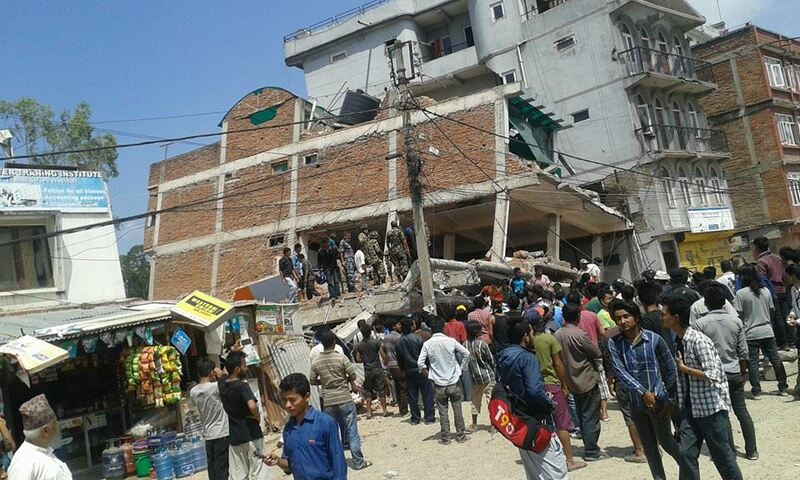 Was this Nepal’s ‘Big One’? Now that we are sitting in New Zealand, we are being told of the Christchurch earthquake again and again. The first earthquake hit while everyone was at home sleeping, there was little damage and no casualties. Then TWO YEARS LATER the ‘Big One’ hit; mid-day, while everyone was at work, a lot of damage, a lot of lives lost. How can anyone know if this is the ‘Big One’ or not? I think Nepal has had at least 14 earthquakes in the last 48 hours. My friends write that their nerves are shot; they are sleeping outside in the cold and rain for fear of their houses collapsing. But all our friends are safe. And since they are a part of a NGO in Nepal, they have quickly mobilized themselves to be first-responders. Relief that we are home in NZ, not in Nepal. Guilt that we are home in NZ, not in Nepal. Sadness at the lives lost. Immense pride in watching how Nepalis have banned together. How our friends have quickly mobilized to help others. No looting, no running amuck in Kathmandu, but a country of neighbors willing to dig through rubble to find a living soul. Nepal is stoic. Nepal is fierce. Nepal is kind and hospitable. This is Nepal, #tin. I am sad for Nepal–but I see hope and grace even in this. First, that the major earthquake happened on a Saturday. Saturday is the only day off school. Families were together. And since Saturday is the religious day, most people were worshipping somewhere, either outside or in low buildings, not at an unsafe multi-story home. The next few days we will see more tragedy as the number of lost lives may skyrocket. Once the first responders reach the villages the true tragedy will be revealed–whole villages and people groups wiped off the map during mudslides. Nepal has a long road of recovery ahead of them. But the nations are responding. Kindness is winning. Nepal will endure this tragedy bound together with their neighbors to keep moving forward. And I am a neighbor. I can network, I can give, I can pray. Please be a neighbor to Nepal. 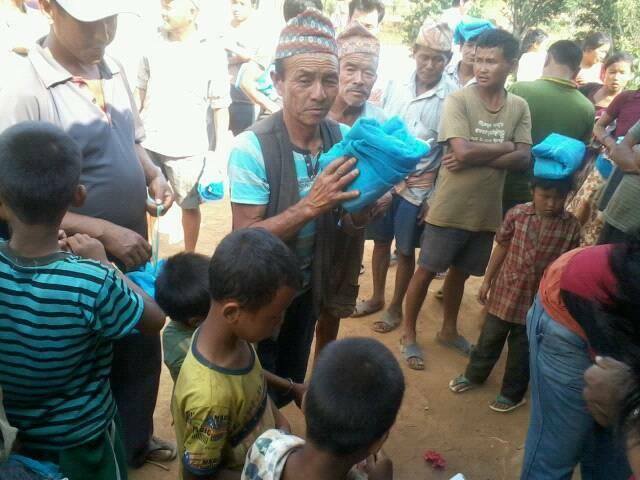 Immediate needs are shelter, food and water– Tarps, Rice and water catchment systems. You can give a tax-deductible donation through Cimarron, Colorado. They do not take an admin fees, 100% of the donation goes straight to first responder teams on the ground in Nepal. Click here to give online: Give to Nepal via Cimarron, Colorado.